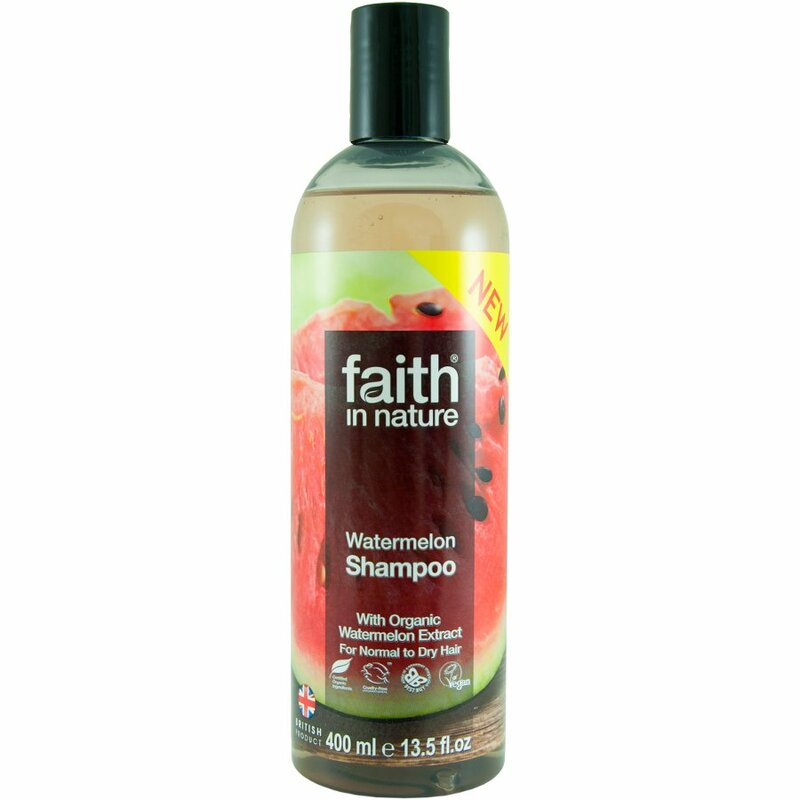 Made with organic watermelon extract, this fresh and fruity shampoo from Faith In Nature will revitalise your hair. Known for their moisturising properties, the shampoo is enriched with vitamin E and organic glycerine to leave your locks super shiny. Faith In Nature only use 100% natural fragrance and never include parabens or SLS. To use, simply massage gently into wet hair, rinse thoroughly and repeat if necessary. Follow with the Faith In Nature watermelon conditioner for best results. Recommended for normal to dry hair. The Faith In Nature Watermelon Shampoo - 400ml product ethics are indicated below. To learn more about these product ethics and to see related products, follow the links below. Great smell and it does not irritate my scalp. 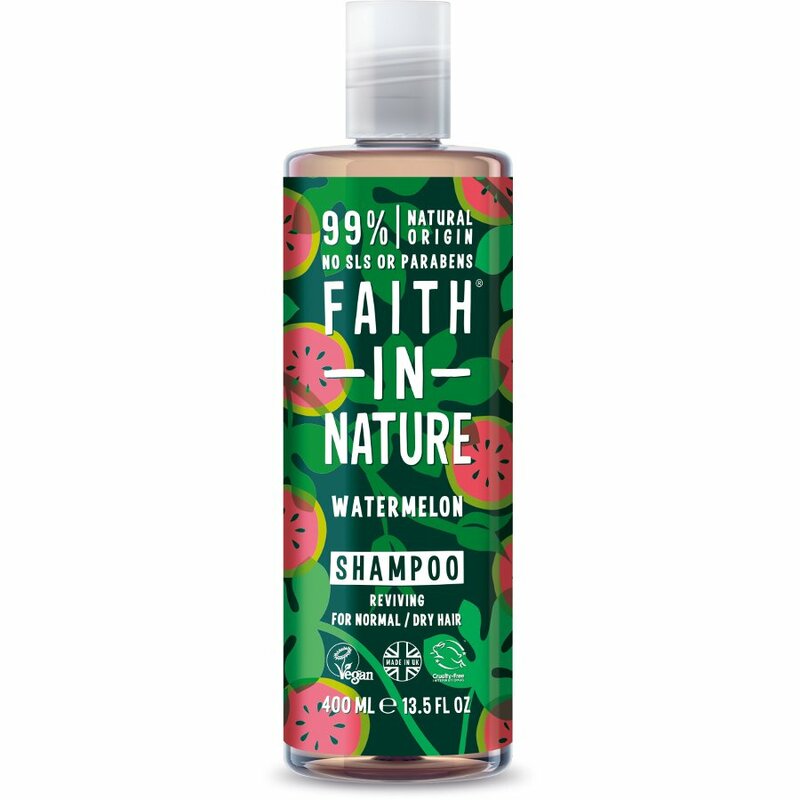 There are currently no questions to display about Faith In Nature Watermelon Shampoo - 400ml.